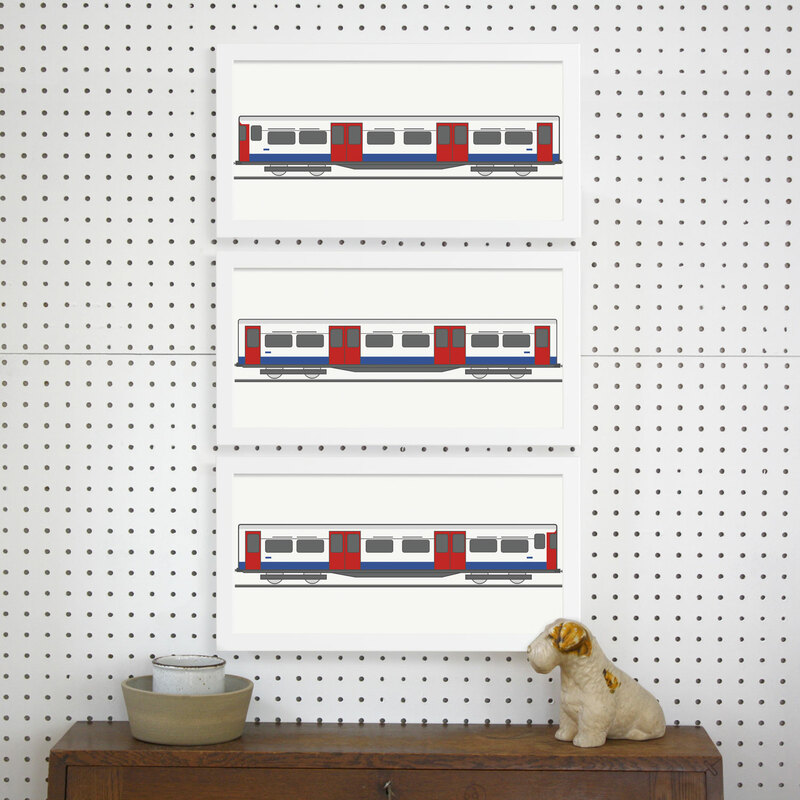 This art print by Place in Print depicts the 1972 Stock London Underground Train, currently used on the Bakerloo Line. 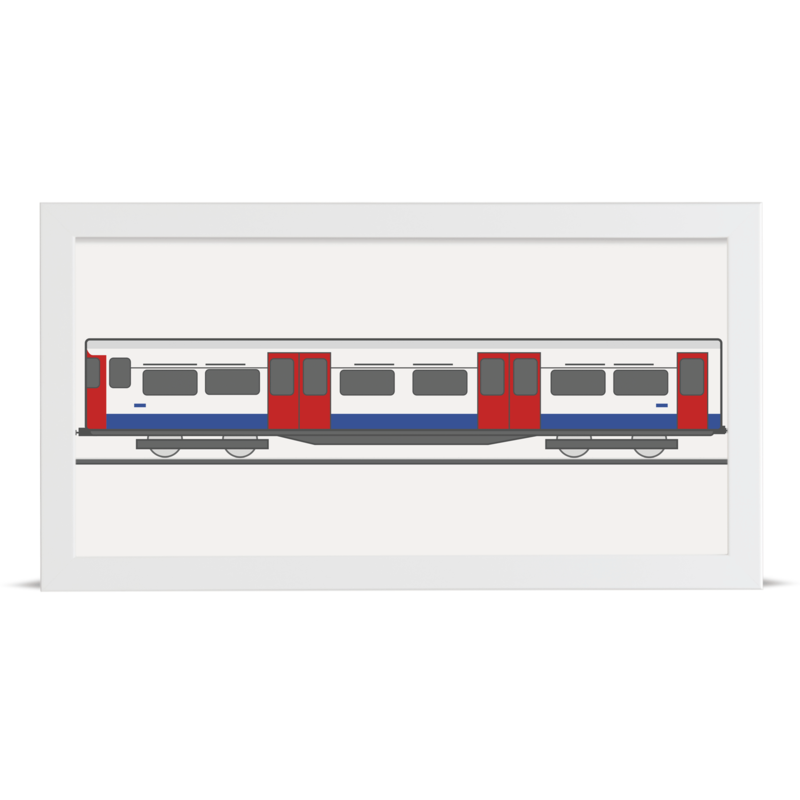 At various times, the same train stock has been used on the Northern Line and Jubilee Line. At present, each train consists of 7 cars, and a complete train has a capacity of 700 passengers. These side-on views depict the full length of each train car, including the front and back, and have been designed to be an accurate representation of the real-life trains. The perfect gift for the train-lover in the family, each section of the train can be ordered separately. 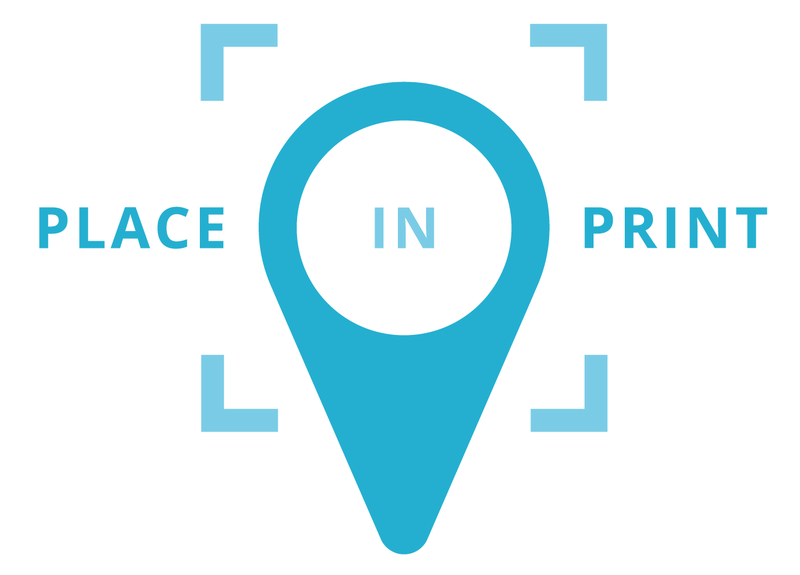 Make up your own combination of prints to create as long a train as you like, using your favourite sections of each type of train. Our full range of Transport Sections can be found here.